The Czechs have many bizzare and unusual traditions. There’s the Christmas carp in the bathtub, whipping the women in their lives in exchange for shots of alcohol at Easter and burning a straw effigy of a witch to say goodbye to the winter, just to name a few. However, coming up on December 5th is possibly the Czech Republic’s most bizarre, terrifying and in recent years, somewhat controversial, tradition. I am of course talking about the day of Saint Mikulas. How Do the Czechs Celebrate St. Mikulas? The short answer to this question, is that they terrify their kids. This is one of the reasons why the customs surrounding the day of Saint Mikulas are a little controversial. British newspaper, The Daily Mirror, has called this Czech Custom the scariest Christmas tradition in the world. A simple google search for “Czech Republic terrifies kids” will bring up no end of articles on the subject, and also some videos and photos of kids being pretty thoroughly terrified. But you shouldn’t believe everything that you read. My experience is that kids absolutely love this day. It’s got excitement, anticipation, fun, costumes, sweets, gifts, songs and stories. What’s not to like? The main celebrations take place one the eve of the day of Saint Mikulas, so December 5th. If you find yourself wandering Prague’s streets on this particular evening, you may notice people walking around in groups of 3, wearing eccentric costumes. One person will be dressed as an angel, one will be dressed as a devil and one will be dressed as Saint Mikulas himself. The main job of the devil is to terrorise kids (luckily he will normally be wearing chains). The angel is there to protect the kids and hand out treats to those kids who have earned them. Saint Mikulas carries a large book, containing information each child’s good and bad deeds for the year. He will normally quiz each child and decide if he or she is deserving of a reward. Tradition dictates that these 3 characters will come to visit each child, who will recite a short song or poem for them. Children who have been well-behaved during the year will be rewarded with sweets or a small gift. The more impressive their song or poem is, the bigger this reward will be. Those unfortunate children who have not behaved well during the year, will be thrust into the devil’s sack and carried to hell. Understandably, the evening of December 5th can be a nervous occasion for kids all over the Czech Republic, as they wait to be visited by Saint Mikulas and his side kicks. These days, it’s common for parents to hire a group of people to come and visit their kids at home. However, you will certainly be able to get a feel for the occasion by taking a stroll through Prague’s streets as night starts to fall. 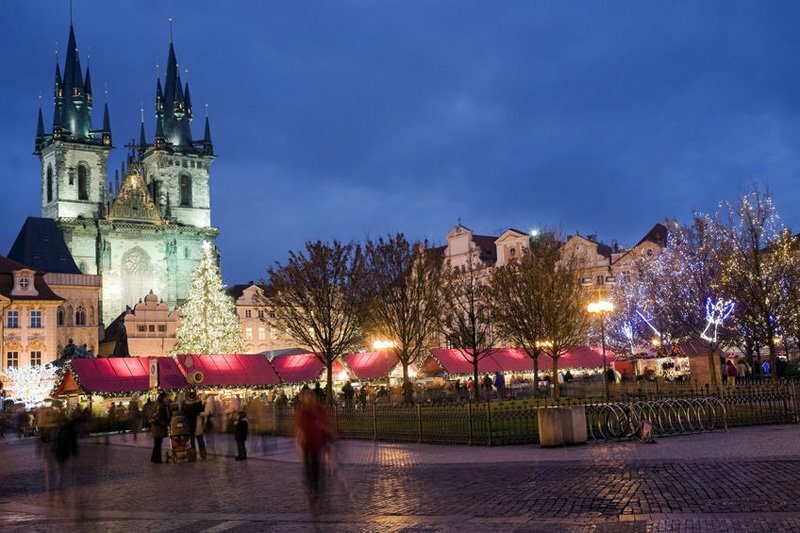 There will be several special events happening in Prague, with the main ones taking place on Staromestske Namesti (Old Town Square) and Namesti Miru (Peace Square). The streets will be alive with the jangle of rattling chains, white fluffy beards and golden halos. Like all decent traditions, this one comes with a story. St. Mikulas (also known as St. Nicholas) is the patron saint of children and those in need. He was born in Greece in the 3rd century. Many countries have customs associated with St. Nicholas. He is of course, the inspiration for Santa Claus. In many cultures, St. Nicholas is traditionally accompanied by a black companion, who is generally referred to as Black Pete. Understandably, traditions surrounding Black Pete have become controversial in recent years. 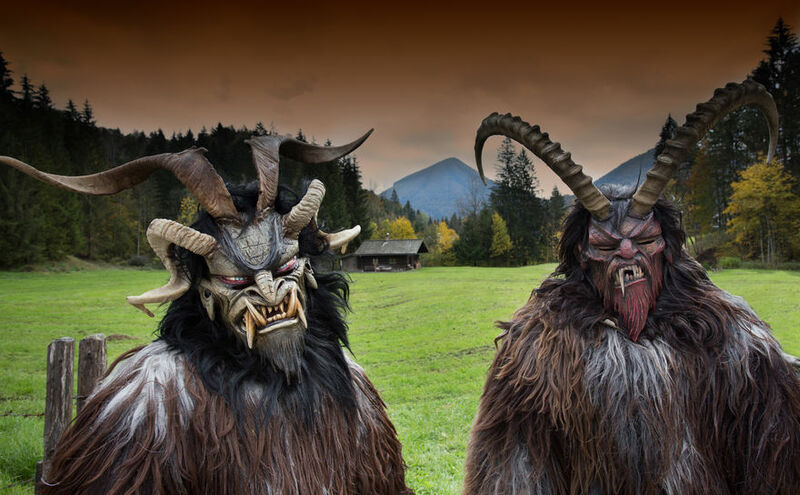 However, I was surprised to learn recently that the black-faced devil character, who plays such a prominent role in the Czech St. Mikulas day festivities, is connected to the story of Black Pete. For many Europeans, St. Nicholas’s black skinned companion was the first black person they had ever seen. They were alarmed by his appearance and thought that he must be a devil, sent to torment them. It is possible that this is why St. Nicholas is traditionally accompanied by a devil with a black face. What idiotic characteristics CZ St. Nicholas Day! I grew up in the Czech Republic and I always look forward to this day. My children are 4 and 5 and they love it (and still believe in them)! : Nicholas, Angel representing Good, and Devil (Devil), who represents Evil. As in millions of fairy tales. Devil knows child sins, and Angel knows good things about child. The children also learn to lecture a poem or prey or sing a song to Saint Nicholas. Of course, some children are afraid and their parents take them away and explain that they are good and the devil can not heart them at all. My great-grand parents came to the US from Czechoslovakia in the 1800’s. I grew up with St.Mikulas. However, I was never told tales of terror and hell. I was told the basic “be a good little girl and St.Mikulas will reward you.” So, (not having appropriate stockings to hang, my Grandma, gave us her nylon stockings, which we hung of her chiffarobe drawers. Stockings were long, you can get a lot of gifts. In the morning we got fruits, little toys and lots of walnuts! We were all thrilled that St. Mikulash visited us!